The U.S. Securities and Exchange Commission (SEC) was created by the Securities Exchange Act of 1934 to regulate the securities industry in the aftermath of the Great Depression. Prior to passage of the Exchange Act (and its predecessor the Securities Act of 1933), the offering and sale of securities was regulated at the state level by blue sky laws. In 1988, Congress gave the SEC the discretion to authorize rewards for informant tips concerning insider trading as part of the Insider Trading and Securities Fraud Enforcement Act. The law followed the revelation of an insider trading scandal at Drexel Burnham, a leading brokerage firm in the junk bond market. At that time, the law was used to augment other methods of detection the use of information by insiders. 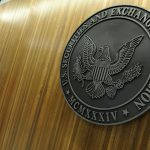 Section 21A(e) of the Exchange Act thereafter provided for payments of up to 10 percent of the civil recovery of monetary penalties for insider trading collected by the SEC or the Attorney General. Congress once again turned to securities whistleblowers following the accounting scandals revealed during the stock market decline after the dot-com bubble. 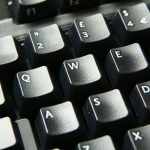 In the Sarbanes-Oxley Act, it provided whistleblowers with a cause of action in federal courts to bring a lawsuit against their employer for retaliation. The anti-retaliation law was meant to encourage individuals to continue to come forward by protecting them. As Congress attempted to correct the problems in the financial markets that led to the Great Recession, it analyzed the existing bounty program and found that the SEC had made very few payments under the program. Several other factors led to the creation of the SEC whistleblower program. Chief among them may have been the Bernie Madoff scandal. For many years, Bernie Madoff purported to be one of the most successful traders on Wall Street. In December 2008, Bernie Madoff was arrested for running a Ponzi scheme with an estimated $50 billion in investor losses. Madoff was sensed to 150 years in prison in 2009. In the government’s evaluation of how to prevent future financial disasters like this one, the importance of whistleblowers came to light. The SEC had received several tips expressing concerns about the performance of Madoff’s investments, yet investigations into his company ultimately failed to protect investors. Perhaps most famously, Harry Markopolos approached the SEC as early as 2000 and 2001, and again in 2005, expressing concerns about the impossible returns reported by Madoff. By the time Congress began debating Dodd-Frank, the importance of whistleblowers in the fight against health care fraud was well known. Congress had also created the IRS whistleblower program only a few years before, giving them a model for how to structure the SEC program. The Dodd-Frank Act, signed by President Obama in 2010, authorized the SEC and the U.S. Commodity Futures Trading Commission to pay rewards to whistleblowers of between 10 and 30 percent of monetary sanctions over $1 million resulting from information provided in tips. The SEC opened its Whistleblower Office in 2011. Sean McKessy led the office for the first five years. The first award was announced in August 2012. Since then, the SEC has paid out rewards of more than $85 million to over 30 whistleblowers. Several awards have exceeded $10 million. 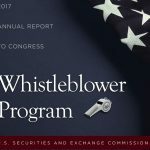 The SEC has taken other steps to protect whistleblowers through its program, including writing amicus briefs to defend protections for internal whistleblowers.